Amid the raging storm over Sidhu's remark, banners have already gone up across the state saying Amarinder is 'Punjab Da Kaptan'. 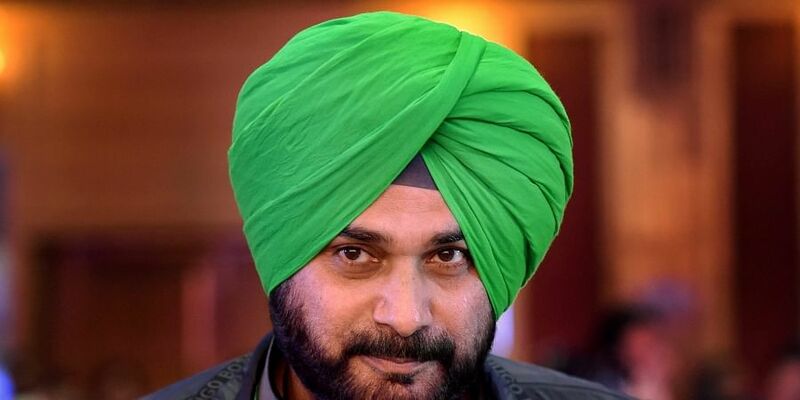 CHANDIGARH: After being ticked off by the Congress high command over his "Rahul is my Captain" remark, Punjab Local Bodies Minister Navjot Singh Sidhu has said that he will call on Chief Minister Amarinder Singh soon and sort out "the issue". Amid the raging storm over Sidhu's remark, banners have already gone up across the state saying Amarinder is 'Punjab Da Kaptan' and more than a dozen ministers have demanded his resignation from the state cabinet. Sidhu, who did not attend Monday's cabinet meeting as he is busy campaigning for party candidates in Rajasthan, said, "You do not wash your dirty linen in public. I will soon sort out the issue with the chief minister. He (Amarinder) is a father figure to me. I love him and respect him." Sources said Sidhu's statement came after he was told by the party high command that Amarinder's writ is important and he should refrain from speaking out against him. The party top brass also advised all state cabinet minister not to escalate the issue any further. At the cabinet meeting on Monday, state Housing and Urban Development minister Tript Rajinder Singh Bajwa, who is considered an Amarinder loyalist, tried to raise the issue was asked to remain quiet. It is reliably learnt that Punjab party affairs in-charge Asha Kumari intervened to prevent the issue from being raised during the cabinet meet. It was learnt that she had already spoken to the CM and his cabinet colleague in a bid to call a truce. prevent the matter from escalating and she has reportedly spoken to both Amarinder and Sidhu and has also watched the video clip of the press conference in Hyderabad where Sidhu called Congress president Raul Gandhi his captain and Amarinder an Army Captain. His remarks had come a day after he returned from Pakistan after attending the ground-breaking ceremony of the Kartarpur corridor. Also senior Congress leader and one of the most powerful functionaries in the party Ahmed Patel and Punjab Congress President Sunil Jakhar intervened to defuse the present crises in the party said party insiders. Sources pointed out that after Sidhu's statement Amarinder's loyalists had taken the fight to the streets. It is time for the party to take credit for opening of the Kartarpur corridor and not for its leaders to fight with one another much to the embarrassment of the party leadership. After Sidhu's 'captain' jibe, Member oament from Ludhiana Ravneet Singh Bittu and Punjab Food and Civil Supplies Minister Bharat Bhushan Ashu have put up hoardings across Ludhiana, 'Punjab da captain, sadda captain'. Trying to play down the controversy, former MLA Navjot Kaur Sidhu wife of Navjot Singh Sidhu had said that Punjab Chief Minister Amarinder Singh was like a father-figure to her husband. `` Sidhu's heart is clean. He has not committed any mistake that he should resign. He has already said Capt sahib (Amarinder) is a father-figure to him. If outside Punjab, he said Rahul is the captain, what is wrong on that?'' she said.